April Kapu is an acute care nurse practitioner (NP) and the associate nursing officer for advanced practice at Vanderbilt University Medical Center. April is the director for the Office of Advanced Practice, supporting excellence in nursing care. She is an associate professor for Vanderbilt University School of Nursing and an assistant in Critical Care, Department of Anesthesiology. April has authored chapters in advanced practice nursing textbooks and published manuscripts in journals such as JONA, Nurse Leader, Critical Care Nurse, The Journal of Trauma, Nursing Management and others. 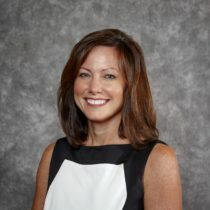 Professional roles include: co-director for the DNP Critical Care Fellowship Program, a partnership between Vanderbilt Medical Center and Vanderbilt University School of Nursing; NP Member at Large for the Society of Critical Care Medicine; Fellow for the American Association of Nurse Practitioners; Tennessee State Representative for the American Association of Nurse Practitioners; co-chair of the Tennessee Nurses Association APRN committee; and program director for the Vanderbilt ACNP/PA Boot Camp Conference. She is a member of Sigma Theta-Tau, Iota Chapter and was recently awarded VUMC Transformational Nurse Leader of the Year and Tennessee Hospital Association Nurse of the Year. April holds both a maste'rs and doctoral degree in nursing from Vanderbilt University School of Nursing.